** 8% tax will be added to all prices above. **No accomodations by the indivisual room unit now. ＊　Please pay the charge at the time of check-in. ＊　For plates, glasses, utensils usage, please contact us. 一棟貸の場合は、駐車場一台分が含まれます。/ also one parking included for whole house rental. All services below are included for the house rental charge. 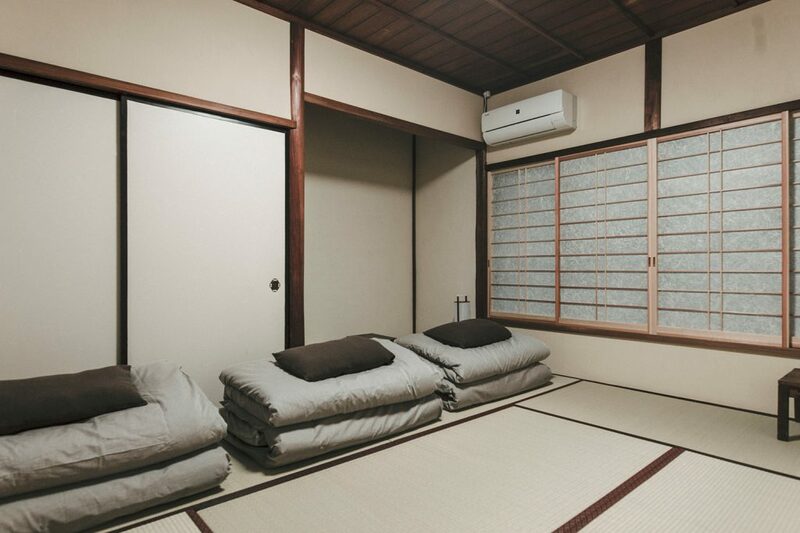 ＊宿泊のお部屋はすべて二階です。二つの部屋は日本家屋の続き間となりますが、ふすま風板戸で仕切られており、通常は行き来が出来ない仕様になっています。These 2 bedrooms are separated by Japanese style locked doors. Super Market, Laundromat and Convinience store are 1~3 min. by walk. 住宅街隣接の小さなゲストハウスです。マナーを持ってお過ごし下さる様お願い申し上げます。 We are close by the residential district. Please use your manners for stay. お子様フレンドリーではない装飾、設備、建具等を使った宿である事をご了承下さいませ。There are some "Not Kids Friendly Facilities and Furniture" in the guesthouse.